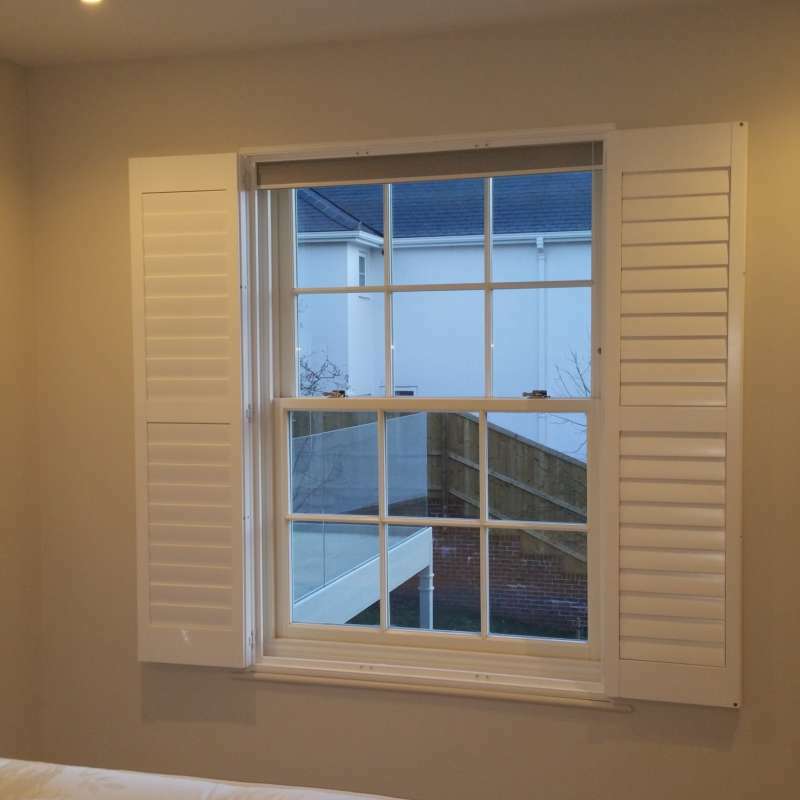 ﻿ Blackout Window Shutters | The Great Shutter Co.
Shutters in general provide pretty good blackout when compared to other window coverings but we do realise that for some not a chink of light may not penetrate. 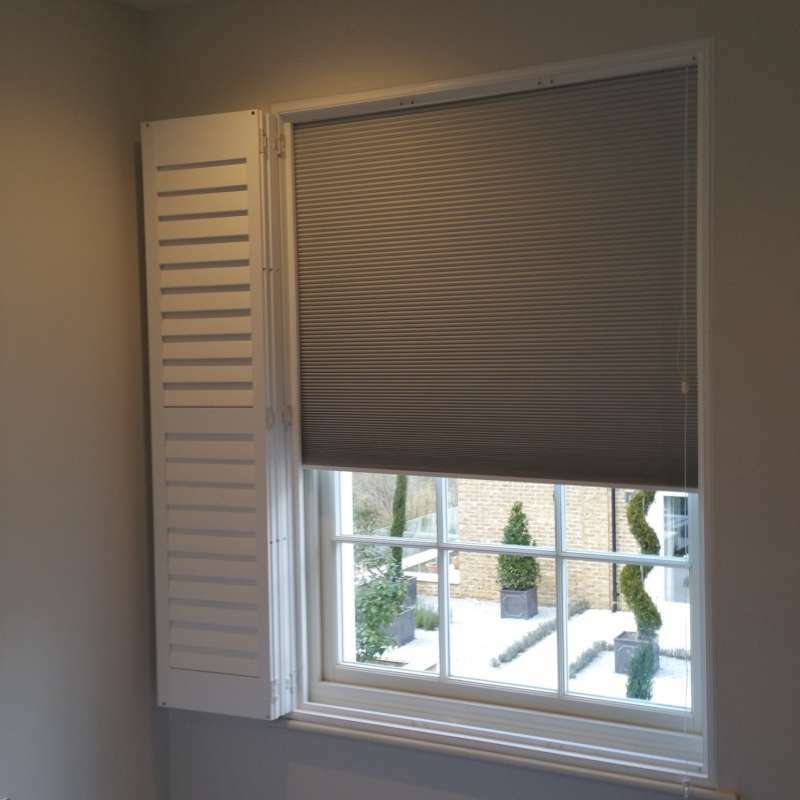 Blackout shutters incorporate a honeycomb blackout blind which runs in a specially designed channel in the frame to ensure light cannot penetrate. What sort of light bleed to normal shutters have? In general very little. The frame of the shutter is fixed to the recess so you don't get that light bleed around the edges that you get with rollers or other blinds fixed inside the recess. You tend to get a glow where the slats meet but no direct sunlight. Where is a blackout shutter ideal? So for those that struggle to sleep or work night shifts that need that extra level of blackout or for those that have babies or young children that wake early with light. They honeycomb is also super insulating so if you have issues with heat loss through windows this can be an ideal solution. How do blackout shutters work? The shutter frame is a little larger than normal and has a channel designed within it. The honeycomb blackout blind is mounted on the frame and runs down the channel. The honeycomb blind is an ideal blind as it has a very small stack height so when in the up position it is not visible through the louvers as it sits behind the fixed top rail of the shutter panel.